A knee sprain occurs when you over stretch or tear the ligaments in your knee. This can occur with pivoting, landing wrong, or by a direct blow the knee. If you have sprained your knee, it is important to ice your knee to bring down the swelling. Minor sprains typically heal in a few weeks with Rest, Ice, Compression (sleeve) and Elevation. 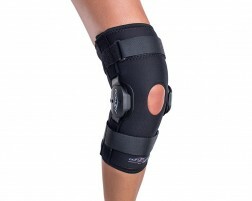 For more serious knee sprains, wear a knee brace to help compress and support the knee. Talk to your physician for a full diagnosis. You can also prevent knee sprains by wearing a knee brace when you play sports. This will provide increased stability for the running, jumping, and cutting movements you may be doing. 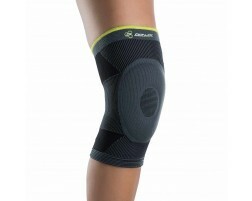 Need help selecting a brace for a sprained knee? Use Brace Advisor, our guided tool for recommendations on a brace for knee sprains based on your level of sports or activity.